If you suspect that you have symptoms of toxic black mold exposure, it is important to talk with a health care professional ASAP in order to prevent serious health problems. 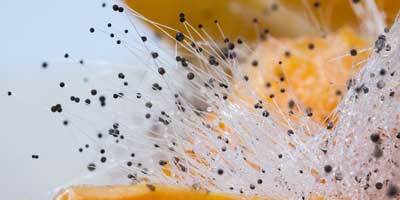 The dangers of black mold aka stachybotrys should not be taken lightly. Mold can cause both short-term and long-term health conditions. Many people don’t realize how severe these health conditions can be, so this blog post is designed to help you understand the serious nature of mold exposure. The doctor will be able to help you treat symptoms that are already present, and a mould abatement specialist can clean up the mold in order to prevent additional symptoms from occurring. If you have had a water intrusion due to flood, sewer backup, or roof leak. If it was not remediated within 3 days, there is a good possibility that you have a mold contamination. If there was a pipe leak under a sink or behind a wall and it was not detected for a while, you have a high probability that you have a black mold (stachybotrys) contamination and it would require the help from a certified professional. If you suspect a mold problem, either visually from mold staining or an earthy, moldy smell, you should contact a professional ASAP.